Join Macy for our third annual Easter Faith Flow! This class is very special to us and if you know Macy then you know how much she radiates her Faith!! We are so excited to get our community back together in the name of Faith, Yoga, & Unconditional Love! Be sure to reserve your spot as this class fills up quickly! *Flow is heated & all levels! We are so excited to introduce Empower Barre to our schedule!!! This is a high intensity All-Levels class using isolated movements of fitness, ballet, Pilates & yoga to build strength and balance! 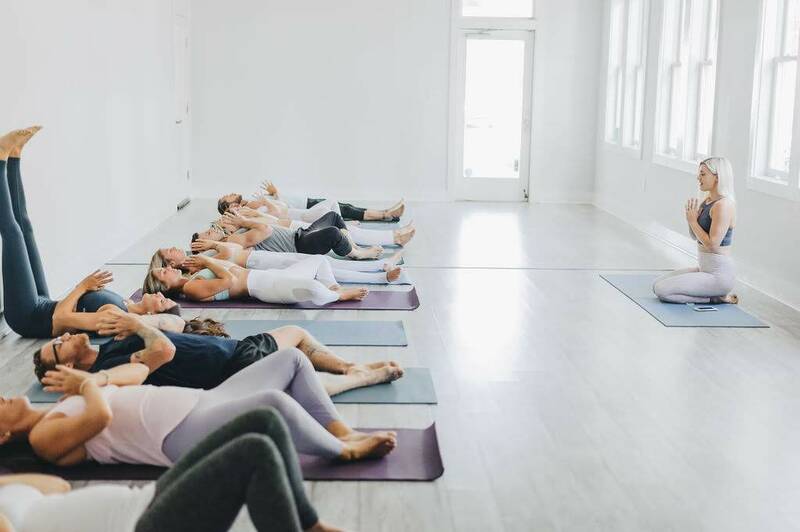 We offer this class Tues/Thurs 8:15 and 9:30am with Jen Taylor and alternating Saturdays with Shelley Jackson (*be sure to check the schedule weekly)! We hope to see you at the Barre soon! Our new Yujis are learning more and more every weekend! Wonder what Yuji Training is all about? Come practice with us! Enjoy 2 Complimentary Classes to see which is the right fit for you!